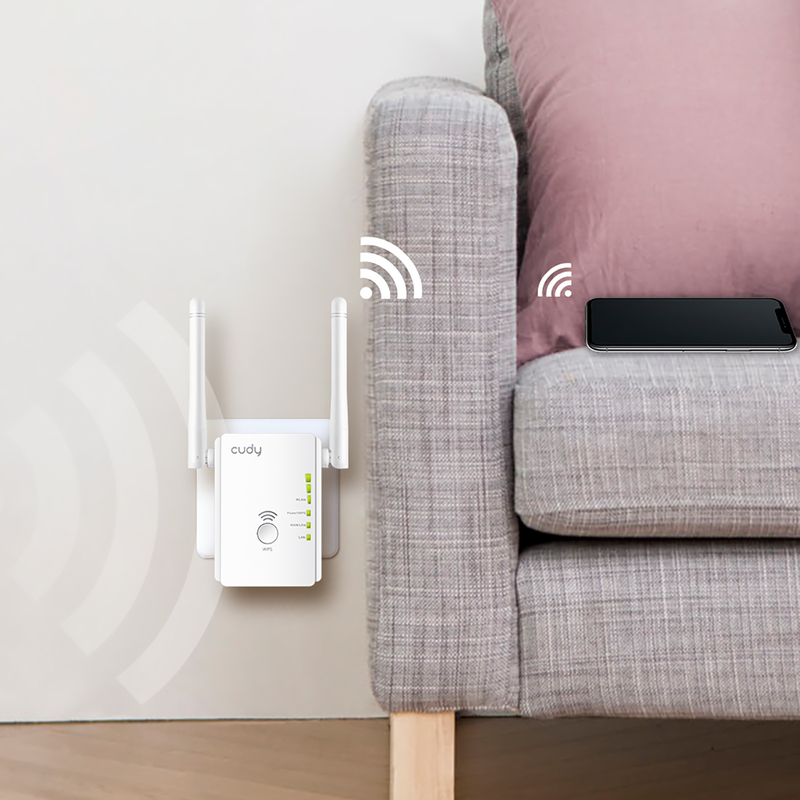 expand your Wi-Fi Coverage up to 10,000 sq.ft. 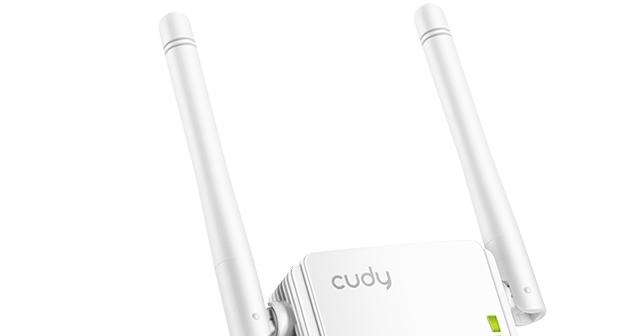 External antennas boost the reception and sensitivity to create stronger connections over greater distances. 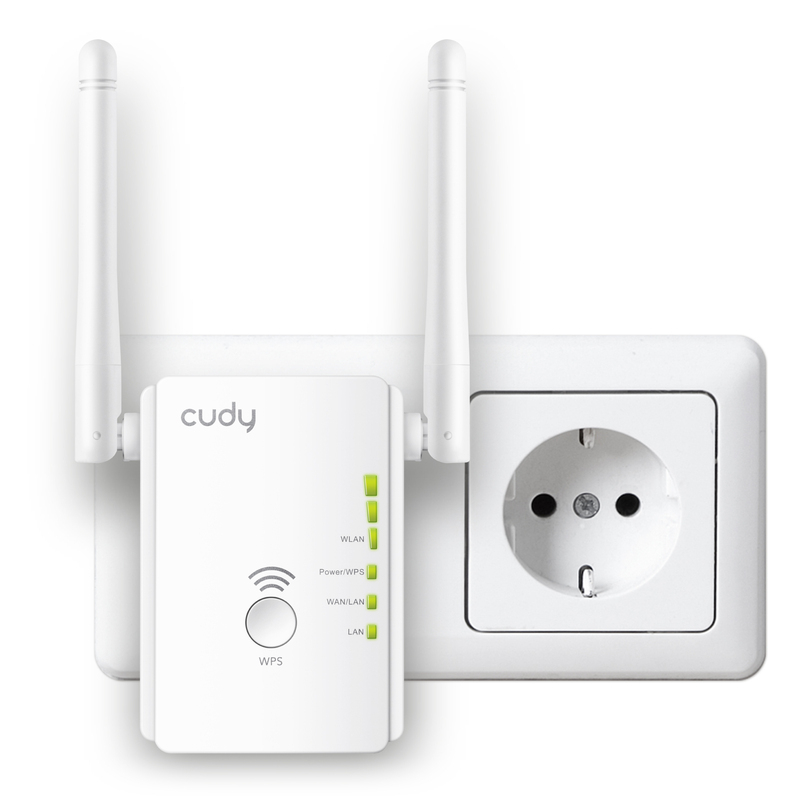 Smart signal indicator help you find the best spot to extend your Wi-Fi network. 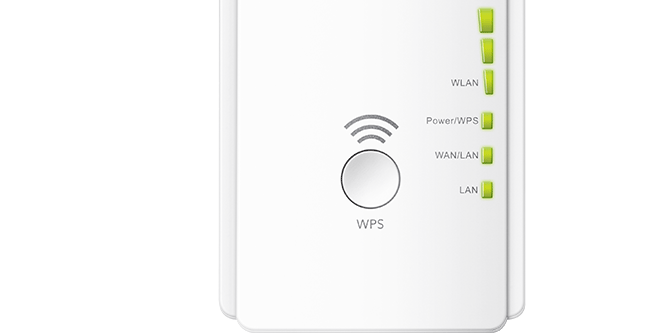 Press the WPS button on your router and your RE750 to easily connect to the network. 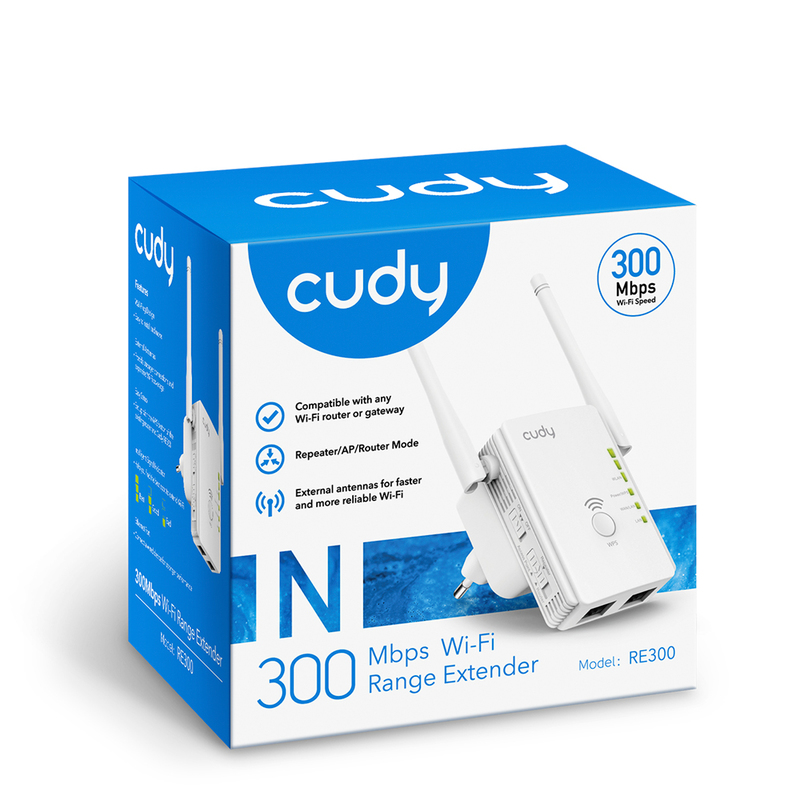 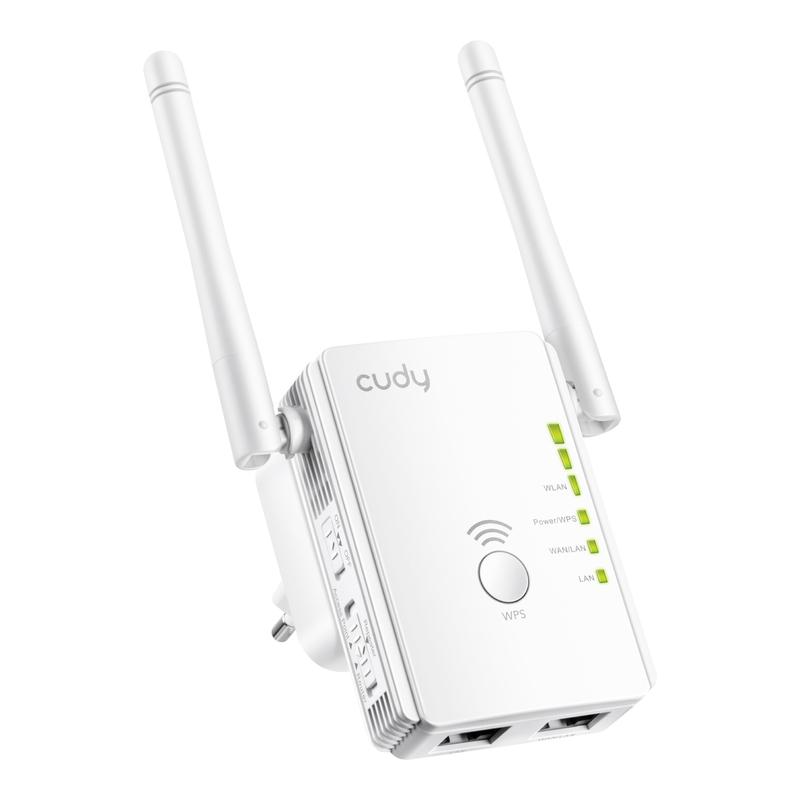 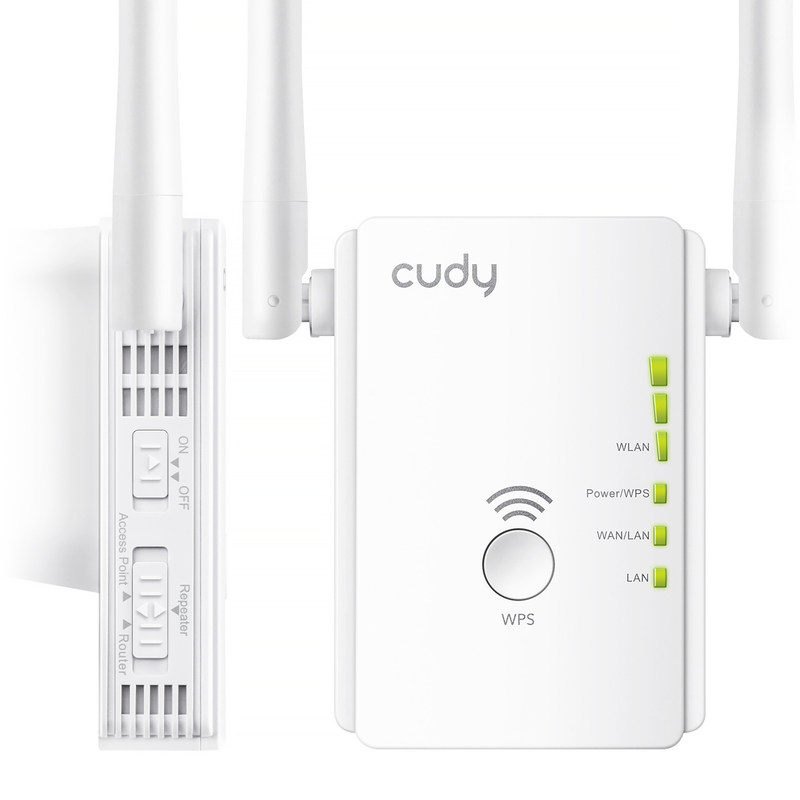 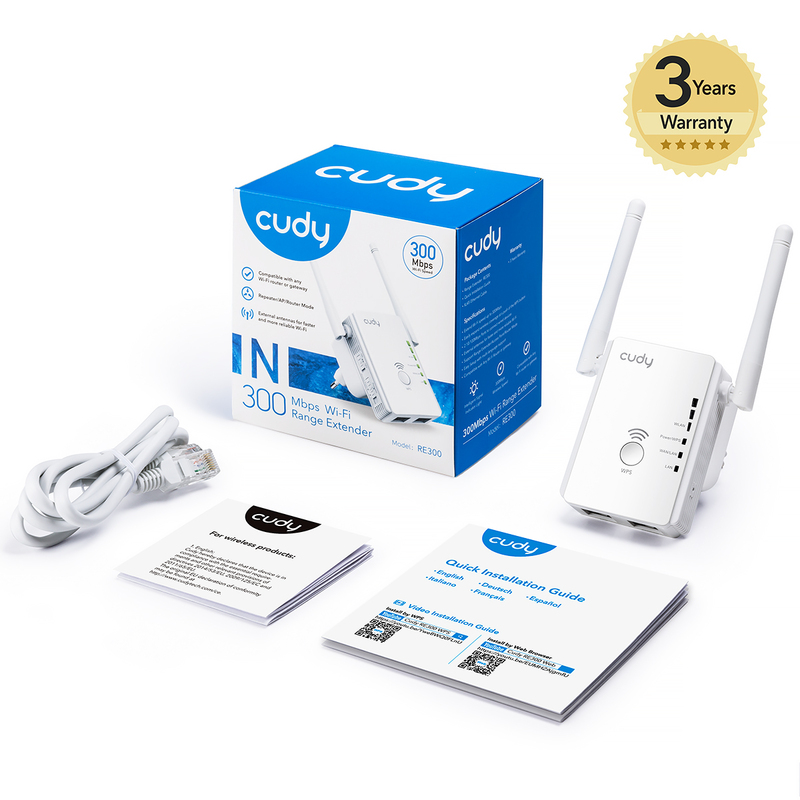 Once connected with an existing router, you can simply unplug and plug the Cudy RE750 back in a location for the best signal quality and coverage in your house, without needing to configure the extender again. 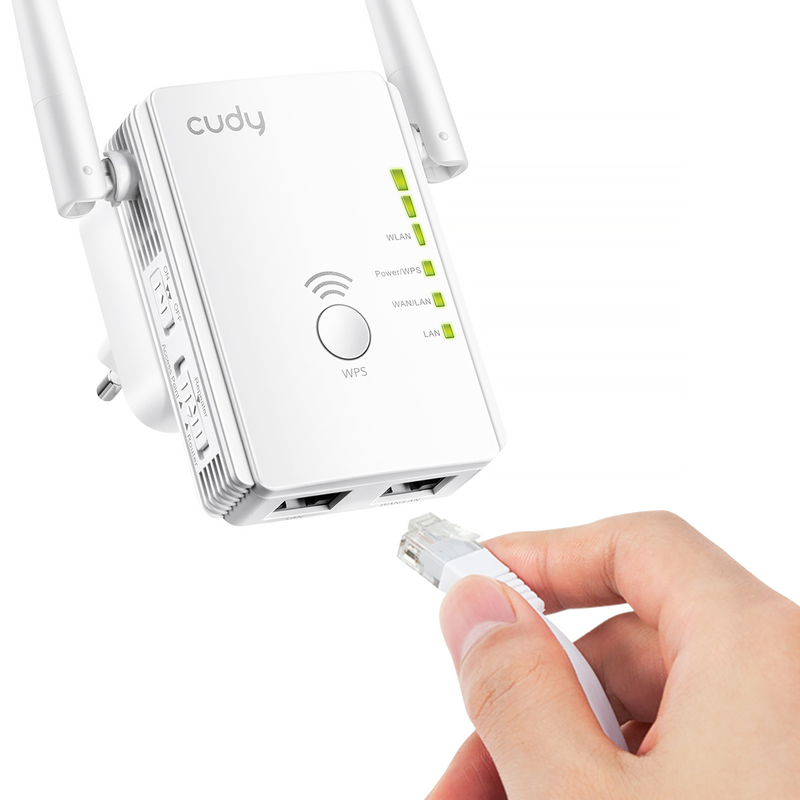 Two Ethernet port allows the Extender to function as a wireless adapter to connect wired devices like Blu-ray® players, gaming consoles, DVRs and Internet TVs.